Tyler James Williams "Don't Believe The Hype" Exclusive Tee. A portion of proceeds will go to The Jed Foundation which helps promote emotional health and prevent suicide among college and university students. Tank & Crewneck Sweatshirt available in style drop-down! Over the last fifteen years, The Jed Foundation has emerged as the leader in protecting the emotional health of America's 21 million college students. Our proven model and award-winning programs are changing the way campuses, communities and families promote mental health and prevent suicide. 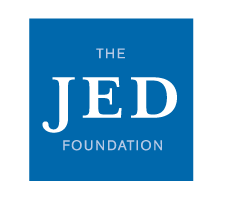 As the nation’s leading organization working to promote emotional health and prevent suicide among college students, The Jed Foundation is protecting the mental health of students across the country. With your support, we will continue to lead the way and protect the potential of tomorrow's leaders.